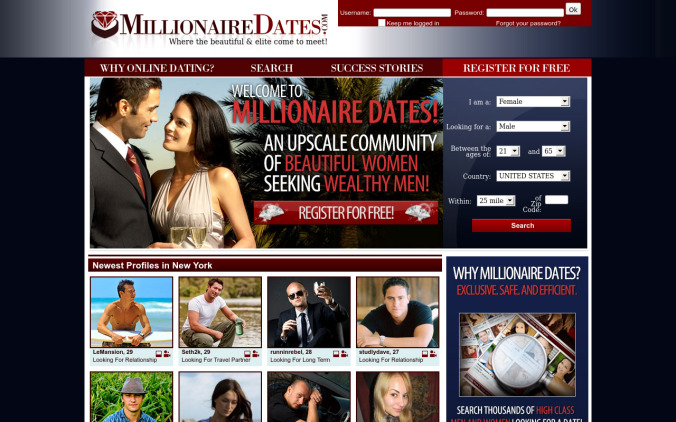 Millionaire Dates is yet another sugar-daddy-dating site niche that offers wealthy men of all ages to find women looking for love (with financial benefits). They have somewhat of a cluttered website design, fortunately it is all responsive and Mobile-friendly to view. Eerily all members Millionaire Dates comes from all USA and Canada. Having a pure Americans and Canadians membership base limits the chances of finding a match. Commendable features includes real time online chat with other members (they are the only one offering this as far as we know) and real time cam to cam chat for paid members. The cons we saw are on the instant messaging experience. No block from sending you IMs option, discreetly hiding your online status is not offered as well. But the most annoying part on Millionaire Dates is the ton of ads everywhere. © 2019 Bloxmedia. All Rights Reserved.